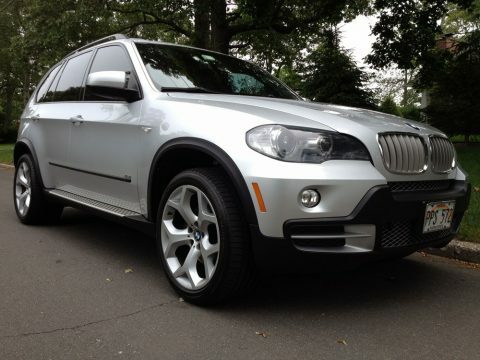 Selling Points: This SUV drives like a sports car! Here are just some features: CUSTOM iPod/iPhone DOCK. Listen to your iPod music or even PANDORA RADIO!! NO WIRES! (See Pictures) Sport Package. Parking Sensors. Integrated Phone. Bluetooth Wireless. MP3 (Multi Disc). iPod/iPhone integration. BMW Assist. Adaptive Cruise Control. Panorama Roof. Running Boards. Oversized Premium Wheels 20". 4 New RUNFLAT tires (4 months). HID Headlamps. Hill Descent Control. Traction Control. Stability Control. ABS (4Wheel). Panorama Sun Roof. Parking Sensors. Condition: Car looks and feels like a brand new car. It only has 35K miles! Certified Preowned BMW Warranty. Maintained regularly only at BMW dealership. No work or repairs needed. Car is perfect condition. I owned this car for 1 year and never had any problems, only enjoyment. NON SMOKER.